← 3 Count: #NXTheme – A Winner is You! In “I Was There” 3MB provides a first hand account of a things we attend. FYI: It took us a while to go through all our Wrestlemania Weekend stuff. In a wrestling packed weekend, you wouldn’t expect WWE Axxess to be a destination for matches. 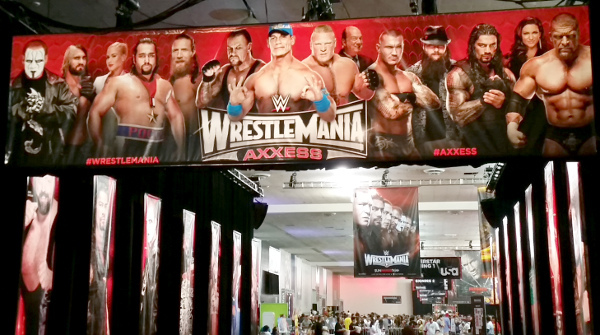 Axxess is the place for braving long lines to meet and greet WWE Superstars. It’s where they display their excellent memorabilia, like the Wrestlemania ring gear. But they also have live matches during Axxess. And you wouldn’t expect any of the Superstars from #NXTSanJose to be there, right? Certainly not for the morning session? Well that wasn’t the case for Enzo Amore and Colin Cassady. They ain’t. … what’s the word? Enzo and Cass took on Scott Dawson and Dash Wilder. During the match, no one wanted to say a word because Enzo was doing all the talking for us. He trash talked the entire time! After exchanging punches with Dawson, Enzo transformed into “Sugar Ray Amore,” turning this tag match into an impromptu boxing match. Cass and Wilder served as cornermen and Enzo, to his credit knows how to throw hands. It helps when Big Cass is holding the guy though. 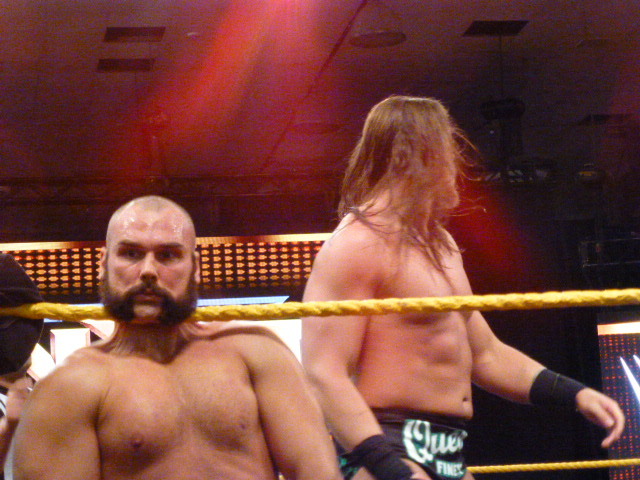 Scott Dawson though was the surprise star of this match. He drew the ire of the crowd by simply being himself. They loved watching Enzo or Cass knock him around, like this hit in the corner that left him staggered like he’d been hit by Lil’ Mac from Punch Out. This entry was posted in I Was There, NXT, WWE and tagged Alexa Bliss, Becky Lynch, Dash Wilder, Hideo Itami, NXT, Scott Dawson, Solomon Crowe, Wrestlemania Weekend, WWE, WWE Axxess. Bookmark the permalink.